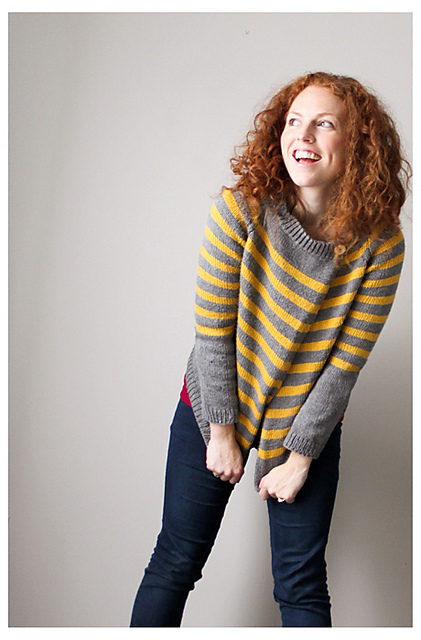 Pattern of the week: thinking of… stripes and cardi’s! 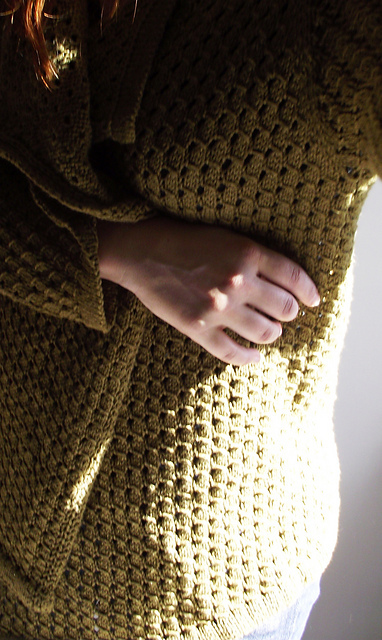 Posted in Free pattern, Knitting	by Giulia P.
I have a cool cool cool pattern for you, or at least in my opinion it definitely is! I love cardigans and stripes and this pattern has both, so lucky me! eheh I actually already have two cardis which look exactly the same, though they are knitted in cotton and have short sleeves. I got them from Zara a couple of years ago. I am always a bit concerned about stripes though, since the danger of making something look like a pijama is always around the corner. Stripes can be tricky, picking out the right colour ombination can actually make the difference between a dull piece and something that will be everyone’s center of attention! So, here is the pattern, I hope you will like it. I have added some extra picts of colour combos which I think that look particularly well, enjoy! And what about using a solid colour with a nicely textured stitch?